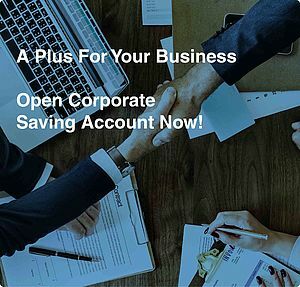 Since the merger between Maruhan Japan Bank and Sathapana Limited microfinance institution to become the second largest commercial bank in Cambodia in terms of its operational areas, the new bank, Sathapana Bank Plc., has received the overwhelmed support from public throughout the country. Particularly, its loans and deposits have increased dramatically. This sustainable increase due to the fact that Sathapana Bank Plc. always maintains the quality of its operation and regularly updates the market to meet the needs of its clients in the competitive market. Evidently, on the 06th November 2016, the top management of Sathapana Bank Plc. held the annual workshop at Independence Hotel in Sihanouk Ville to consolidate its annual achievement as well as to seek new strategies to be used to accomplish business plans in the coming year. The event was presided over by Oknha Dr. Bun Mony, Chief Executive Officer and other 300 key management of Sathapana Bank Plc. from 162 branches throughout Cambodia. 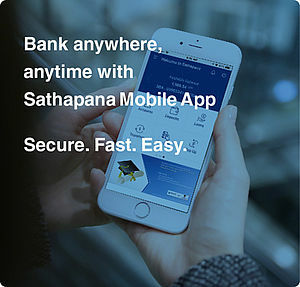 Oknha Dr. Bun Mony, Chief Executive Officer, said “Sathapana Bank Plc. has built its reputation through a fast and convenient granting loans with transparency pricing and respect. These make its clients including local and international investors trust the bank products and services. The result of the last four years when Maruhan Japan Bank became the shareholder of Sathapana Limited in late 2012, the total loan outstanding was USD 120 million and the total deposit outstanding was USD 150 million only. However, by the end of October 2016, Sathapana’s total loan outstanding reached USD 595 million while its total asset reached USD 919 million, which was the increase of 421% and 570% respectively.” “Sathapana foresees that financial services still play a vital role in building the long term economic growth. In other words, financial services are the key to unlock poverty in Cambodia. Therefore, all management and staff committed to support and assure that these financial technologies will continue to exist in Cambodia and to carry further growth in the future.” He added. In response to these objectives, Sathapana has issued four key strategies: 1) Looking for the stable sources of capital. 2) Keeping on strengthening capacity of all management and staff. 3) Introducing new banking products and services to meet the clients’need and to help them improve their business as well as their economic activities. 4) Monitoring operational risk management and compliance, social and environmental involvement, and implementing the principles of consumer protection. Sathapana’s efforts and its achievement in its financial operations in 2016 have been recognized by the local and international communities. As a result, the Bank has constantly obtained many certificates of appreciation and awards such as The Smart Campaign Award, The Outstanding Retail MFI Award, The Honorable Award from The King of Cambodia, the letters of commendation from related ministries and other royal institutions.